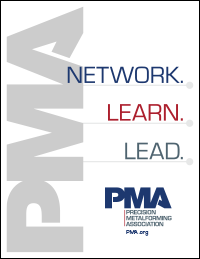 PMA is pleased to highlight Patrick Steininger, president of Sko-Die, Inc., Morton Grove, IL. Family owned and operated since 1947, Sko-Die provides quality custom metal stampings, tooling and assemblies to its customers. 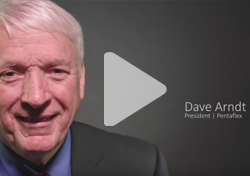 Hear Patrick's thoughts about technology challenges facing metalformers, what’s on his wish list for his plant in 2015, the best conference he and his employees have attended in the last year, and more! A: Right now tool and die makers, and it has been for several years. A: One of the biggest is when your company changes its ERP system. The more upfront work you do internally with your team, the better off you will be during the conversion. Try and get a third party (that knows the software) contracted to help and stick to the budget and scheduled conversion dates. A: A new servo press would be nice, 200-250 tons. A: Definitely the Press Club peer group I’m in at PMA. I enjoy seeing all of the different plants in different areas of the United States, and every visit gives me more ideas on what I can do to improve Sko-Die. A: Anything revolving around strategic planning in your metalworking business. A: SUV, but I miss the extra room in my minivan. My older son is 6’3”, middle daughter 5’11”and younger son is 6’5”, and they sit sideways to fit. My wife has no room for her Mary Poppins bag. A: Pat Matheny Group, Cold Play, and Mumford and Sons. My kids laugh at me because I always listen to the same music on iTunes, and I don’t update my playlist enough. Pandora helps me which is nice.